It was Professor Helmut Lortz, teaching at the Academy of Arts in Berlin, who showed the young Diefenbach the direction of his artistic career and enabled his first steps towards art. Visual arts and especially painting with its varied forms of expression and possibilities cast a spell on A.Helmut Diefenbach early on and over the years his skills matured towards perfection. 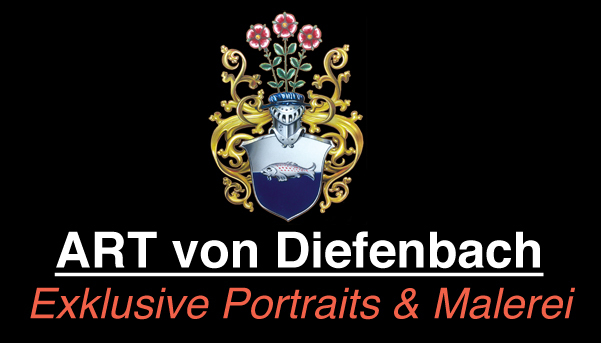 Works made to order for industry und business as well as many works of his own free creative productivity prove Diefenbach�s professionality. Depending on the requirements, Diefenbach creates technical and figurative representations in almost all techniques. Last but not least, he has also made a name for himself with his photorealistic portraits and illustrations. Nature-loving A.Helmut Diefenbach lives and works in his home town Darmstadt close to the edge of the woods, drawing the strength for his numerous artistic activities from its quietness and harmony. His love for music is a welcome change for Diefenbach and it has stirred his emotions for many years like his enthusiasm for painting. All licensing, without exception, by A. Helmut Diefenbach only.